If you know your 911 genealogy you'll know the importance of these three letters. Good times ? Surely. The GTS Variant has been a real sweet spot of the 911 range in recent years, bundling the most desirable bits of the options list as standard with some subtle, black-themed cosmetic tweaks. 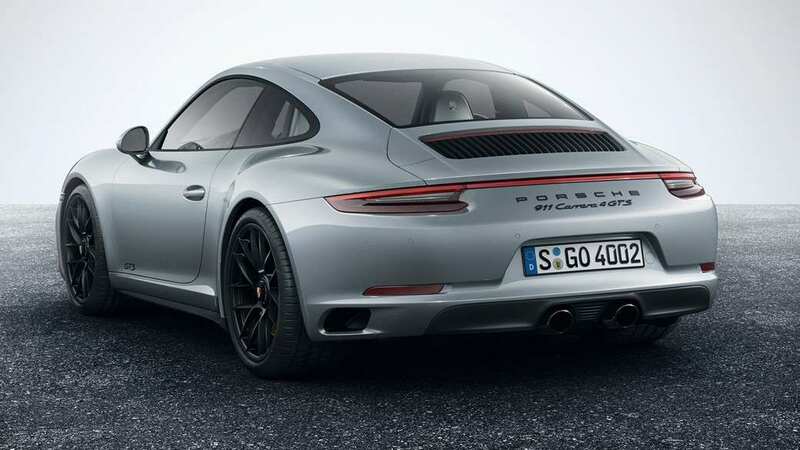 Now it’s the turbocharged 991.2 generation’s turn to get the GTS treatment, and it’s the same happy story: the 3.0-litre flat-six from the Carrera S gets a 30bhp power hike to 444bhp, adaptive PASM dampers are standard, so is the Sport Chrono pack (includes dynamic engine mounts and switchable exhaust noisiness), and smoked tail-lig phts, black tailpipes and 20in centre-lock alloys continue the noir styling theme. On sale in March, all three 911 body styles will be available in GTS form: Coupe, Cabriolet and Targa. Each gets the wider-hipped bodywork from all-wheel-drive 911s, although the GTS Coupe and Cabrio have a choice of 2wd or awd (theTarga’s awd-only). All three versions can be had with either seven-speed manual or dual-clutch PDK gearboxes. The manual rear-drive Carrera GTS Coupe is relatively speaking the most affordable version, at $94,316 (and probably the pick of the bunch full stop). That’s around $8500 more than a regular Carrera S.